When most people imagine a pearl necklace, it’s almost always a strand of perfectly round white pearls that feature a stunning shimmer and glow. As we’ve covered before, however, there are many different pearl colors, including pink, peach, black, and even gold. Similarly, pearls also come in a variety of different shapes. While perfectly round pearls may be the most popular, pearl shapes such as semi-round, drop, baroque, and circle-baroque are sometimes considered more unique. In this article, we’ll describe the different pearl shapes before we explain how the shapes of pearls are formed then finish with how to style the different shapes. There are five primary pearl shapes: round, semi-round, drop, baroque, and circle baroque. We describe each shape with more detail below. Round: Round pearls are certainly the most sought after of all pearl shapes, as well as the most valuable. These pearls are perfectly spherical, which is considered the most desirable by pearl experts. 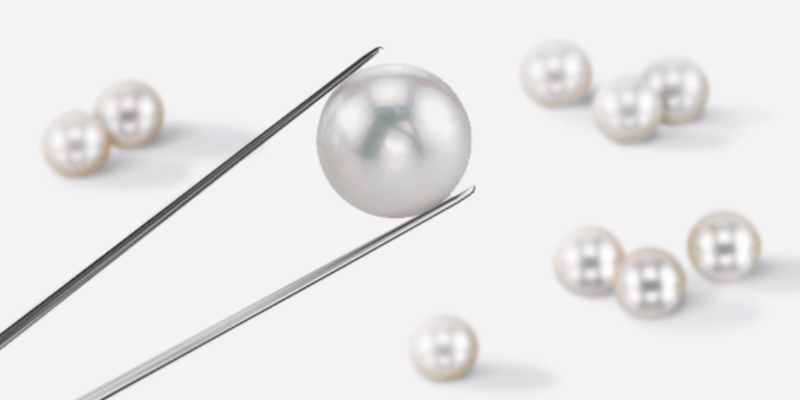 Semi-Round: To the untrained eye, semi-round pearls may seem completely spherical. That said, they have microscopic irregularities when compared closely to perfectly round pearls that make them slightly less valuable. Drop: Drop-shaped pearls get their name from their uncanny resemblance to teardrops. These pearls are symmetrically extended and can be extremely valuable if they possess a flawless pear shape. Baroque: These pearls are irregular in shape, with no two being exactly the same. They are completely asymmetrical when compared to round pearls. Baroque pearls are cherished for their uniqueness as well as their affordability. Circle Baroque: Circle baroque pearls are a subset of baroque-shaped pearls. They feature rings around the pearl which makes them easily distinguishable and extremely unique. How do Pearls Form Their Shape? To help better understand how a pearl takes its shape, we must first briefly explain how pearls are made. A pearl begins to form when a foreign substance, or an irritant, makes its way inside of a mollusk. This irritant essentially acts as the pearl’s nucleus. To protect itself, the pearl begins to coat the irritant with layers upon layers of nacre, the main substance in pearls, and a pearl slowly begins to develop. One critical aspect regarding the pearl’s shape is the shape of the nucleus that the mollusk coats with layers of nacre. For cultured pearls, spherical beads are typically used as the nucleus for a perfectly round pearl. As the pearl begins to slowly form with each layer of nacre, micro-terraces form around it. Water molecules bounce off these terraces and create energy. As a result, causing the pearl to slowly begin to rotate and enhance the pearl’s spherical shape. Shapes such as semi-round, drop, and baroque are often the result of mantle-tissue being used for the nucleus instead of a spherical bead. Each pearl shape can be used to achieve different looks or styles. For example, there is nothing more elegant and timeless than a pearl necklace that features round or semi-round pearls. These necklaces can be used to add the perfect finishing touch to your ensemble for a special occasion or to enhance everyday outfits with some additional class. Though they are not round, drop-shaped pearl earrings are also considered a more classic gemstone jewelry option. Pair these two pieces of jewelry together for a traditional look that oozes with sophistication. Baroque and circle-baroque pearls, on the other hand, are perfect if you’re after a more bohemian-inspired look. A baroque-shaped pearl pendant is extremely eye-catching and highlights the unique shape of the gemstone. In addition to pendants, baroque earrings have also become a trendy jewelry option in recent months. The asymmetry of the earrings creates a one-of-a-kind look that is classy and creative at the same time. 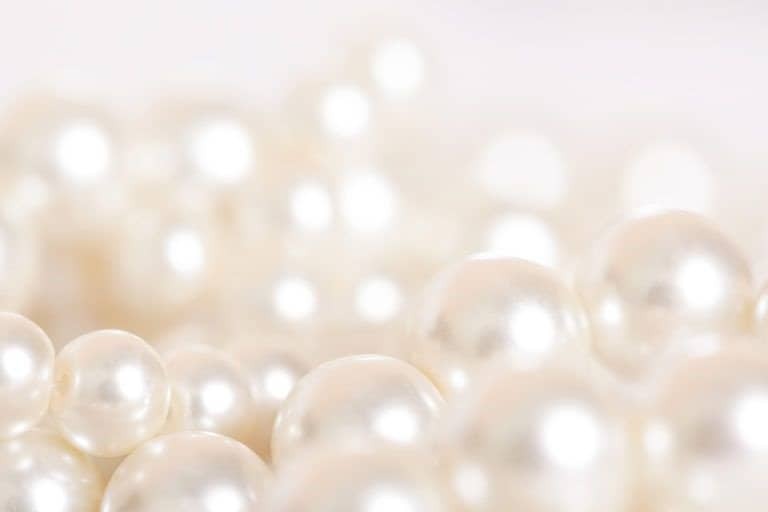 While pearl shapes are undoubtedly an important aspect to consider when purchasing pearl jewelry, you should also consider pearl size, color, and quality. By doing so, you put yourself in a great position to own a piece of pearl jewelry that you will cherish for a lifetime.